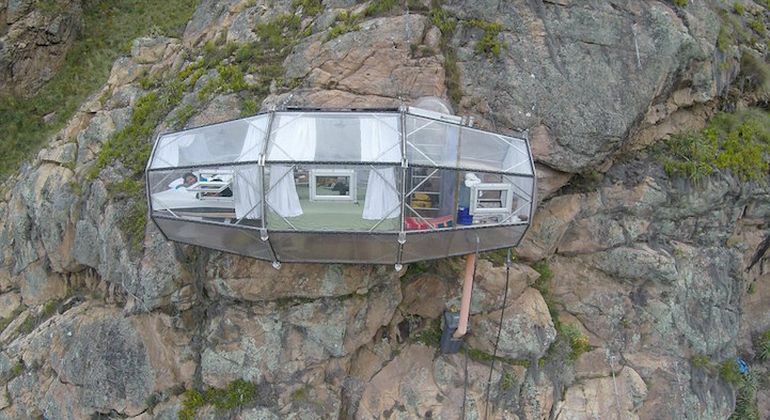 Back in last year, we talked about the thrill of living inside Modscape’s conceptual house ‘suspended’ along a cliff. 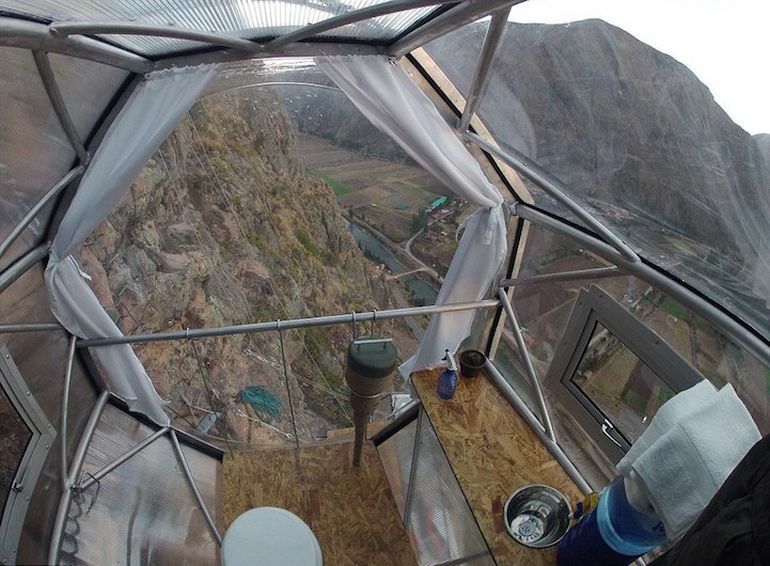 Well, this time around, things have taken a turn of reality (beyond concept) with the Natura Vive Skylodge in Peru’s Sacred Valley. 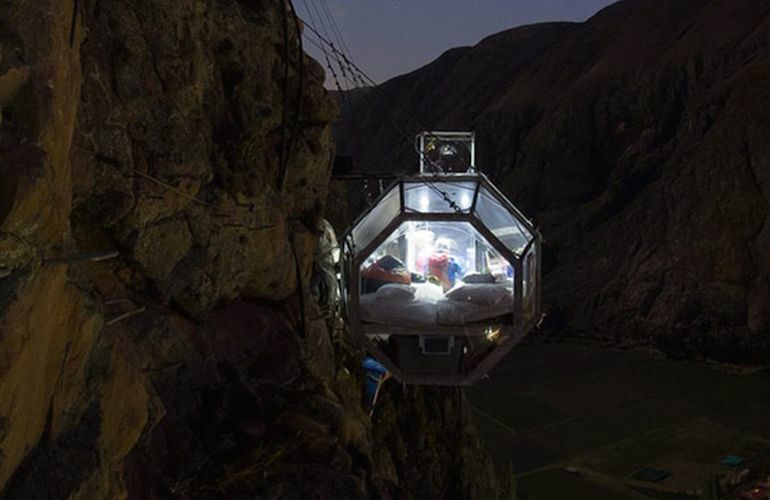 Envisioned as dangling capsule with transparent facades on all sides, the hotel offers death-defying 300 degree views of the rugged South American landscape on the adventurous level. 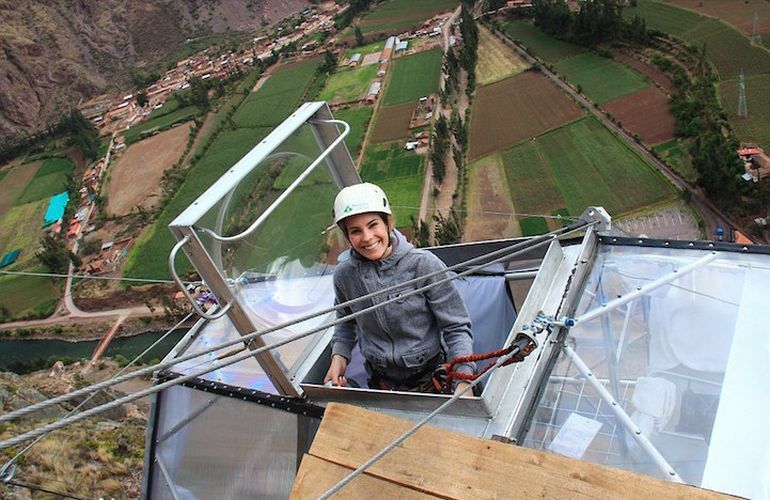 In other words, acrophobia be damned! 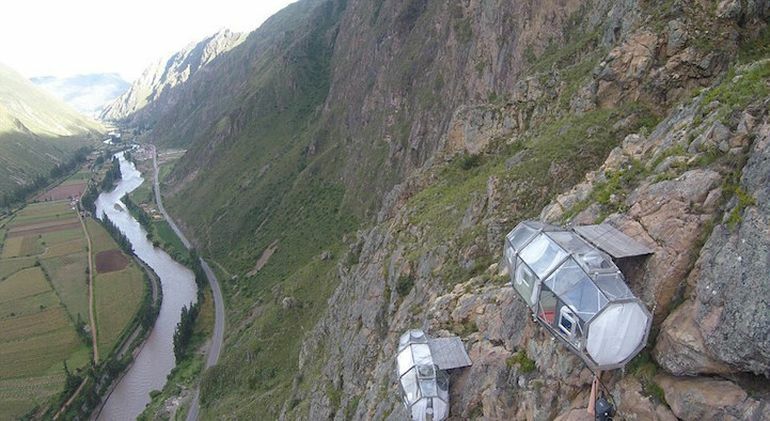 As is the case with the renowned cabin hotel atop Italy’s Foronon Buinz Mountain, one has to scale a sheer drop of 400 ft before accessing the precariously positioned Natura Vive Skylodge. 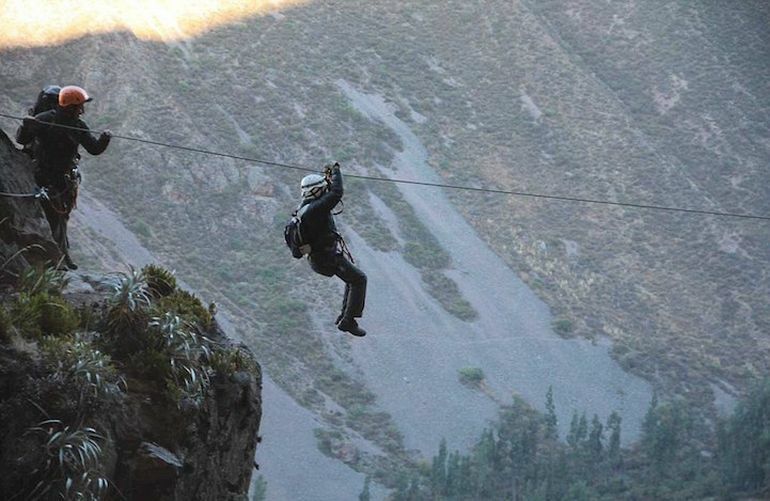 This primary access point can be reached by trekking through a Via ferrata (‘iron road’) or by using zip-lines. Fortunately, for the inexperienced, this scaling process doesn’t actually require rigorous mountain-climbing expertise. Finally, the noteworthy spatial ambit is accompanied by some comfort-oriented features, including good quality mattresses, cotton sheets, down pillows and quilts. These accommodation credentials are ultimately notched up a level, with the adventurous package culminating in a last-day hearty breakfast and gourmet dinner with wine. As the saying goes – fortune favors the brave! 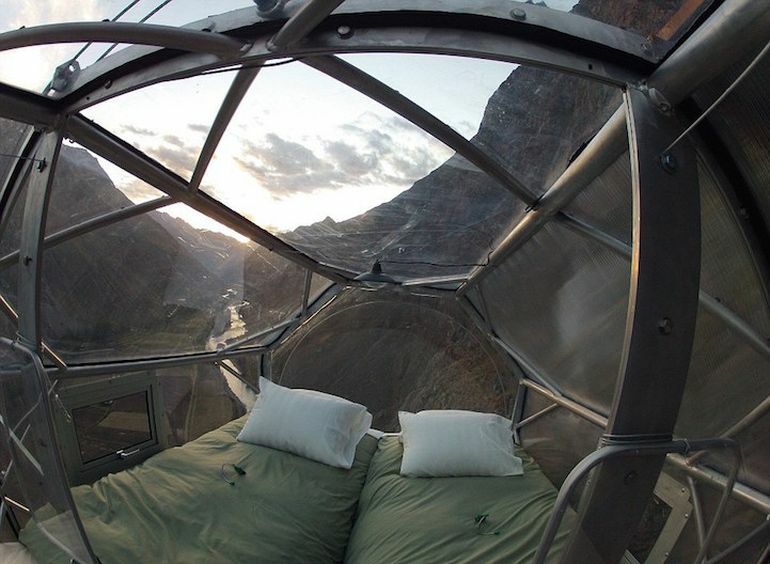 Per night would cost around £200 (around $310). For more info, take a gander at the Natura Vive website.